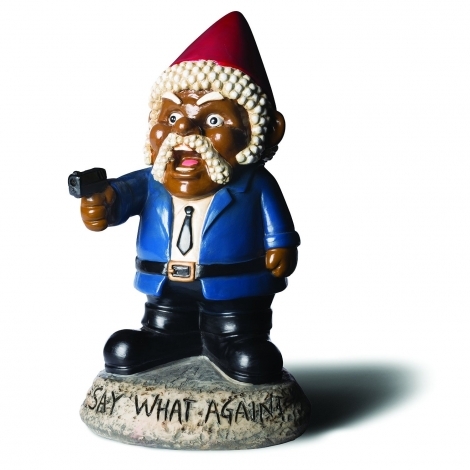 A 9.5-inch-tall garden gnome inspired by Samuel L. Jackson's Jules Winnifield character from the 1994 cult classic Pulp Fiction to scare all your unwanted visitors away. "Say What Again?" garden gnome statue, from Big Mouth Inc.